Creekside Homes for Sale | Louisville, Kentucky | Creekside Real Estate | Louisville MLS | Joe Hayden Realtor - Your Real Estate Expert! 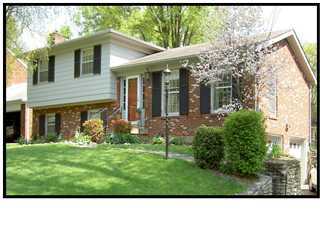 View all Creekside Homes for Sale on the Louisville MLS listings below! Creekside real estate is located off of Westport Road by Hurstbourne Lane in Louisville, Kentucky. The subdivision of Creekside is conveniently located near the Springhurst shopping area and has easy access to the Gene Snyder Freeway. Creekside homes come in a wide-variety of styles, from traditional two-story homes to contemporary styles and even ranch homes. One advantage that residents of Creekside enjoy is the fact that you have quick access to Louisville and the surrounding areas making the location of the neighborhood ideal. Homes for sale in Creekside are typically priced from $175,000 to over $250,000. Many of the homes in Creekside are constructed of brick materials, but there are also homes that utilize wood siding, vinyl siding, and stone. This variety of construction styles contributes greatly to the neighborhood's character. Creekside homes are typically older than 30 years which means that many of the homes do not have open floor plans like you will see in modern homes. However, many home owners in Creekside have updated their homes with newer windows, roofs, kitchens, bathrooms, and other features to make the homes very livable for today's standards. Give consideration to buying a Creekside home if you are in the market for real estate. 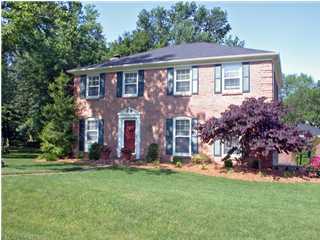 You can search for a Home for Sale in Creekside on the Louisville MLS listings. Creekside is one of Louisville's best kept secrets and an ideal place to call home.